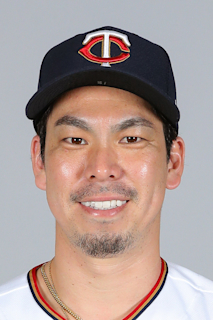 Kenta Maeda (pronounced MAH-eh-da)…resides in Tokyo with his wife, Saho, daughter and son…is the eighth Japanese player in Dodger history…signed by the Dodgers as a free agent on January 7, 2016. Completed his third big league season going 8-10 with a 3.81 ERA (53 ER/125.1 IP) and two saves, while holding batters to a .240 average and posting a 1.26 WHIP…struck out 153 batter against 43 walks ... In 20 starts, Maeda went 6-7 with a 3.85 ERA (46 ER/107.2 IP), limiting batters to a .235 average while averaging 10.62 strikeouts per nine innings ... Was a starter for 20 of his first 22 games of the season, making his last start on Aug. 10…moved exclusively to the bullpen starting Aug. 14 ... Made 19 relief appearances, going 2-3 with two saves while posting a 3.57 ERA (7 ER/17.02 IP)…struck out 26 batters against three walks out of the bullpen, while posting a 1.19 WHIP ... Limited right-handed opponents to a .209/.270/.337 slash line, striking out 95 batters against 18 walks and allowing only five home runs in 258 at-bats ... Worked out of the bullpen during the Dodgers' postseason run, allowing three runs in 6.2 IP (4.05 ERA) in eight appearances. Went 13-6 with one save and posted a 4.22 ERA in 29 games (25 starts) in his second season with the Dodgers...Struck out 140 batters against just 34 walks in 134.1 innings, posting a 4.12 strikeout-to-walk ratio...also limited hitters to a .238 average, including holding right-handed batters to a .214 mark...Made his first career stint in the bullpen, going 1-0 with one save and posting a 2.25 ERA (2 ER/8.0 IP) in four appearances... struck out 10 against just one walks, while also limiting the opposition to a .233 average...Collected his first career save in his first career relief appearance on June 9 against the Reds, allowing one run on three hits over 4.0 innings while striking out six...became the first Dodger pitcher since Chan Ho Park (2008) to record a win as a starter, a win as a reliever and a save in the same season...In 14 games (11 starts) at home, he went 8-1 with one save and posted a 2.88 ERA (22 ER/68.2 IP), compared to going 5-5 with a 5.62 ERA (41 ER/65.2 IP) in 15 games (14 starts) on the road...Following the All-Star break, he ranked among National League pitchers (min. 50.0 IP) in strikeout-to-walk ratio (4.85, 3rd), opponents' OBP (.270, 6th), WHIP (1.10, 9th), wins (6, T-12th), strikeout per nine innings (10.07, 13th) and opponents' batting average (.225, 14th)...Made his first career stint on the disabled list from May 11-25 with left hamstring tightness...Was a key piece out of the bullpen during the postseason for the Dodgers, going 2-0 with a 0.84 ERA (1 ER/10.2 IP) in nine postseason relief appearances...struck out 10 against just two walks, while holding hitters to a .135 average (5-for-37). In his first big league season, he went 16-11 with a 3.48 ERA (68 ER/175.2 IP) in 32 starts, while limiting the opposition to a .229 average...Posted the second-most wins ever by a Los Angeles rookie, behind only Rick Sutcliffe (17-10, 1979), and his 16 wins tied for the second most ever in a single-season by a Japanese pitcher, behind only Daisuke Matsuzaka's 18 in 2008 with Boston (18-3)…his 16 wins were the most by a MLB rookie since 2012, when Yu Darvish and Wade Miley both had 16 victories...Ranked among the overall NL leaders in wins (16, T-5th), ERA (3.48, 14th), WHIP (1.14, 10th), strikeouts (179, 12th), strikeout per nine innings (9.17, 7th), strikeout-to-walk ratio (3.58, 12th), opponents' batting average (.229, 11th), opponents' on-base pct. (.291, 11th) and opponents' slugging pct. (.359, 10th)...Led qualifying MLB rookie starting pitchers in starts (32), wins (16), opponents' batting average (.229), WHIP (1.14), innings pitched (175.2) and strikeout-to-walk ratio (3.58)..Picked up the win in his MLB debut on April 6 at San Diego, allowing five hits in 6.0 scoreless innings in a 7-0 LA win...at the plate, blasted a solo homer in his second big league at-bat, becoming the first Dodger to homer in his big league debut since shortstop Jose Offerman did so vs. the Montreal Expos on Aug. 19, 1990 and the first Dodger pitcher to homer in his Major League debut since Dan Bankhead vs. the Pittsburgh Pirates on Aug. 26, 1947...Did not allow a run in his first two starts at San Diego and vs. Arizona before surrendering a run in the third inning of his third start on April 17, ending his streak at 14.0 innings to begin his career…Maeda's scoreless streak tied Pedro Astacio (14.0 IP, 1992) for the third longest to begin a career in Los Angeles history, behind only Dave Stewart (18.1 IP, 1978-81) and Bob Welch (15.1 IP, 1978)...Made three postseason starts, going 0-1 wtih a 6.75 ERA (8 ER/10.2 IP). Led the Japanese Central League with 15 wins with the Hiroshima Carp, going 15-8 with a 2.09 ERA in 29 starts, to win his secondcareer Sawamura Award, given to the league's best pitcher. ... Posted a 1.01 WHIP and holding opposing batters to a .222 average, including a .160 mark against right-handers. ... Allowed just five home runs in 206.1 innings (0.2 HR/9.0 IP). ... Registered a 4.27 strikeout-to-walk ratio, striking out 175 against just 41 walks. ... Recognized as the best fielding pitcher in Nippon Professional Baseball for the fifth time. July 10, 2018 Los Angeles Dodgers activated RHP Kenta Maeda from the paternity list. July 7, 2018 Los Angeles Dodgers placed RHP Kenta Maeda on the paternity list. June 13, 2018 Los Angeles Dodgers activated RHP Kenta Maeda from the 10-day disabled list. May 30, 2018 Los Angeles Dodgers placed RHP Kenta Maeda on the 10-day disabled list. Right hip strain. May 25, 2017 Los Angeles Dodgers activated RHP Kenta Maeda from the 10-day disabled list. May 19, 2017 Los Angeles Dodgers sent RHP Kenta Maeda on a rehab assignment to Rancho Cucamonga Quakes. May 11, 2017 Los Angeles Dodgers placed RHP Kenta Maeda on the 10-day disabled list. Left hamstring tightness. August 29, 2016 Los Angeles Dodgers recalled RHP Kenta Maeda from AZL Dodgers. August 26, 2016 Los Angeles Dodgers optioned RHP Kenta Maeda to AZL Dodgers. January 7, 2016 Los Angeles Dodgers signed free agent Kenta Maeda.